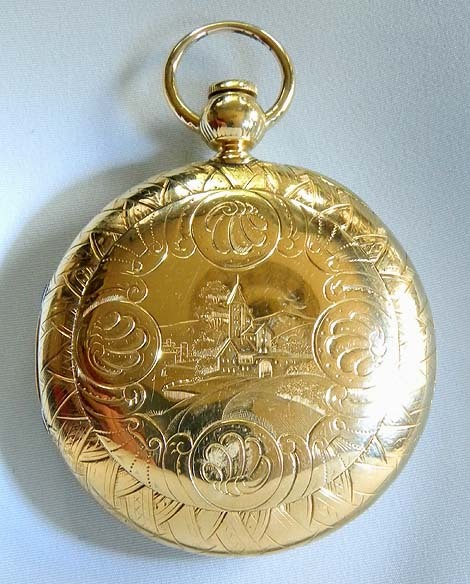 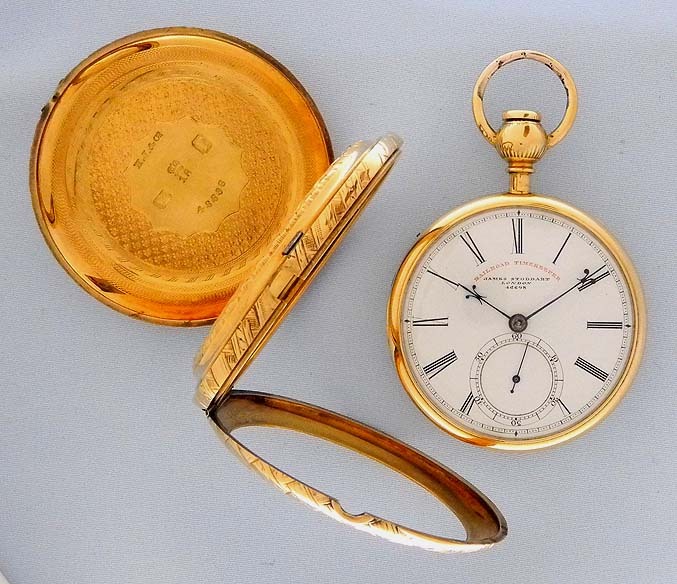 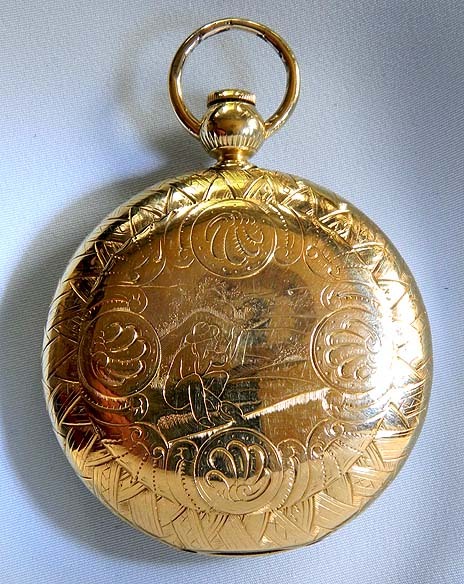 Fine and rare massive 18K gold convertible hunting case/open face antique pocket watch with gold panning scene circa 1858. 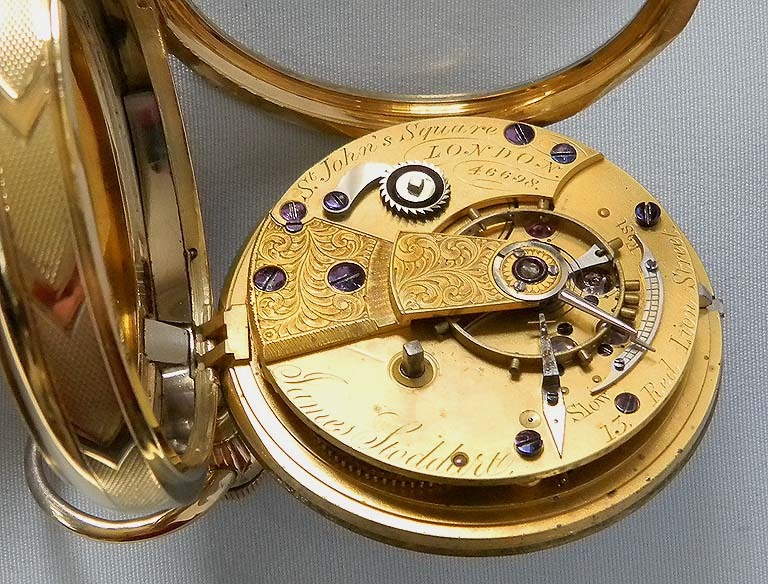 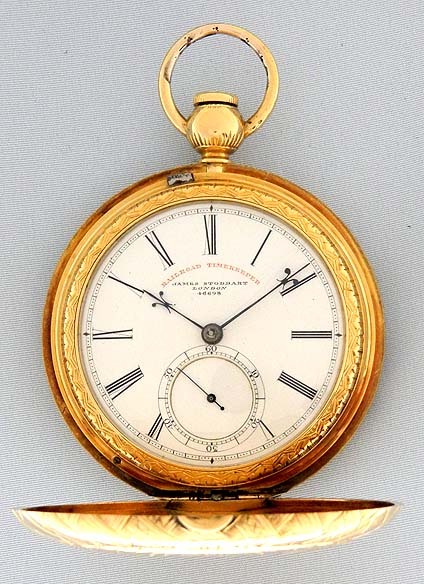 The fine 19 jewel lever and fusee movement with diamond cap jewel by James Stoddart, London. 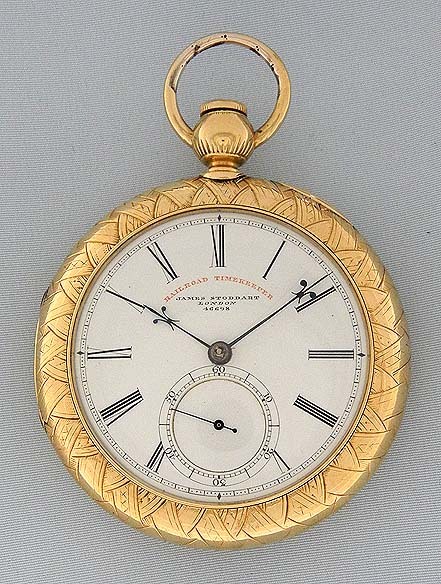 Fine white enamel dial marked Railroad timekeeper with fancy blued steel hands. 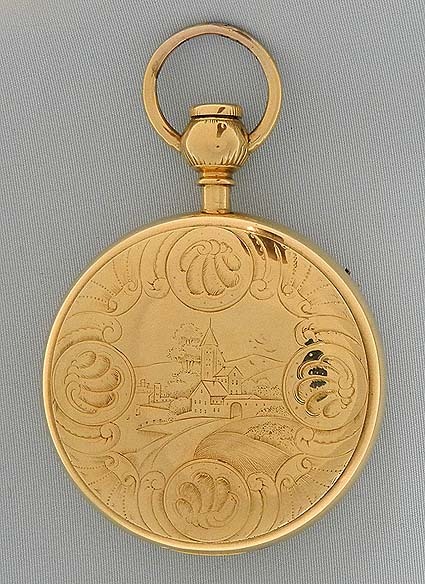 Heavy chased and engraved case, one cover with an engraving of a miner panning for gold. 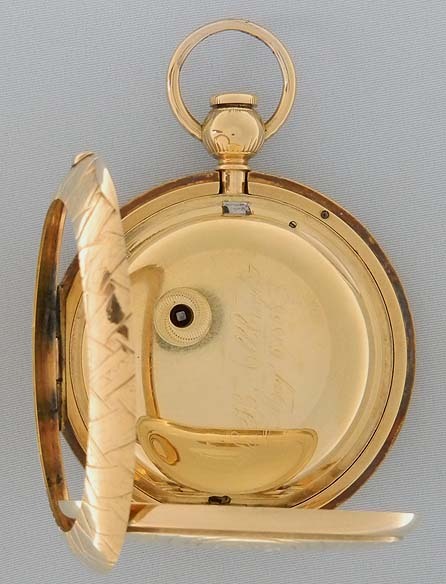 The case has what appear to be spurious hallmarks and is possibly American made. 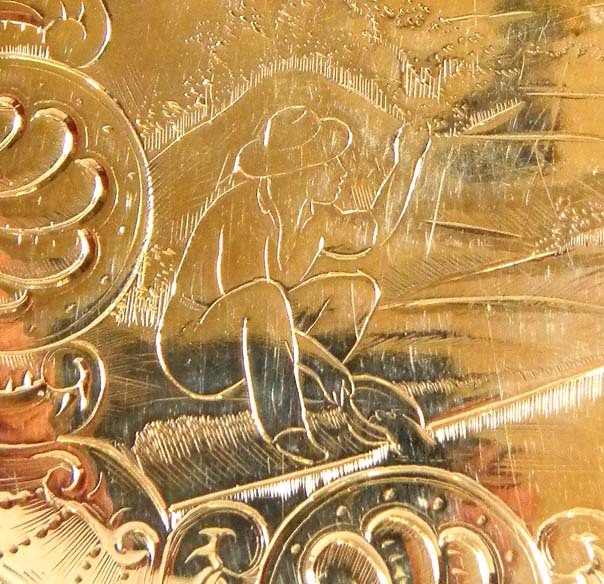 The engraving of the miner is almost certainly American.